This is the brand’s second outlet in the city following its opening in Smith Street. 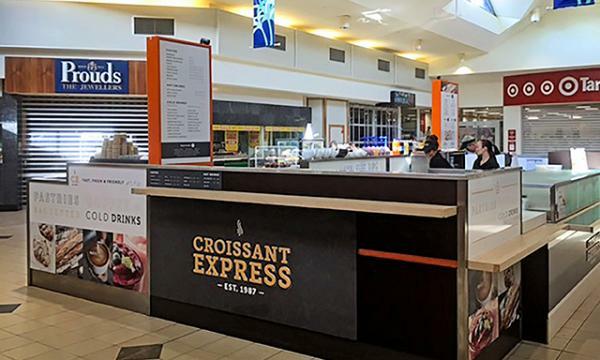 Croissant Express has announced that they opened a new store in Boulevard Shopping Centre, Broome. The site focuses on the grab-and-go concept with menu options for key day parts which includes ranges of breakfast rolls, pastries, baguettes, frappes, smoothies and coffee. “We hope to replicate our successful beginnings in Perth “and bring the Croissant Express Experience to every corner of Australia,” Steve Andrews, Croissant Express’ operations manager, said. They are also looking to further expand in Darwin, Alice Springs, Port Headland, North Queensland and South West Western Australia.